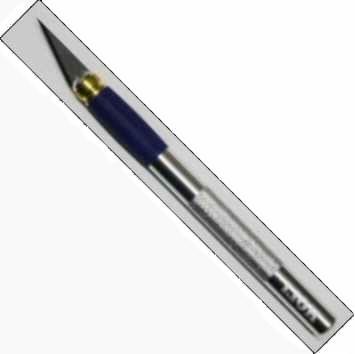 Aluminium, shaped like a pencil with a rubber grip. Well suited for trimming and cutting plastic foils, paper etc. Spare Blade pointed big, 10 pcs.